The interview below is taken from our free-to-download Good Investment Review, published in partnership with 3D Investing. WHEB Asset Management has just published an Impact Calculator, enabling investors in its Sustainability Fund to see how much CO2 they have cut through their investments. 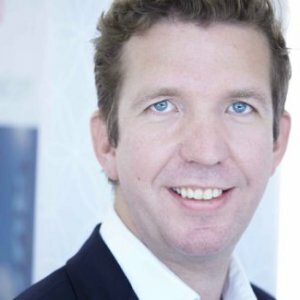 Seb Beloe is head of research and impact reporting at WHEB Asset Management, the specialist fund management boutique focused on the opportunities created by the global transition to more sustainable, resource and energy efficient economies. WHEB invests in companies that make a positive sustainability impact. It is independent, owner-managed and a certified B Corporation. It believes this structure makes it easier to take genuinely long-term investment and business decisions leading to better alignment with clients’ long term interests and values. The long term social and environmental challenges we face have the potential to undermine the ecological and societal foundations on which stable economic systems are based. Tell us a bit about yourself – what gets you out of bed in the morning? The world is genuinely at an inflexion point in how society addresses the long term social and environmental challenges that face us. These challenges have the potential to undermine the ecological and societal foundations on which stable economic systems are based. In recent years, we have seen extraordinary growth in the technologies, business models and consumer appetites that address these challenges, providing more sustainable outcomes in which people can flourish. WHEB’s role is to invest in businesses that both benefit from and enable this shift. I really can’t think of a more exciting job to have. What makes your fund distinctive? WHEB’s mission is to advance sustainability and create prosperity through positive impact investments. But such a claim needs to be backed up. Clients are rightly cynical about any business that purports to help solve the world’s problems. And you might say that this is particularly true for companies operating in financial services! We understand this scepticism and seek to address it by being ‘radically transparent’ about what we do and how we do it. In addition to the range of regular disclosures we make about the work that we do, we have also recently developed a methodology for measuring the social and environmental impact of the fund. How do you measure the impact of your fund? It is not an easy question because there is no one size fits all methodology or single metric that can tell you everything about the impact of an investment fund. Life is just too complex for that. So, the challenge is to make something that is highly complex both meaningful and relevant by communicating it well. It is like the principle of a ‘true and fair’ view in accounting, where you need to review balance sheet, profit and loss and cash flow to start to make financial sense of a company. However, often there is less environmental, social and governance (ESG) information available and standards vary across companies and regions. We have boiled this information down into some key environmental metrics that capture the positive impact of the fund’s investments; such as the avoided carbon emissions, renewable energy generated, waste water treated and waste materials recycled. We have also mapped the fund against the UN’s Sustainable Development Goals which is increasingly widely used as a framework for reporting social and environmental impact. How do you engage with the companies in which you invest? We have a relatively long-term approach to investment – typically holding investments for between four and six years. Given this average holding period, we believe that it makes sense to engage with the management of businesses to encourage them to take more long-term, progressive positions on key ESG issues. While WHEB is still relatively small, we often lead coalitions of investors to emphasise the importance of changes that we propose. We report on the impact of this stewardship activity and typically consider that just under half of our engagements with companies achieve positive outcomes. While WHEB is still relatively small, we often lead coalitions of investors to emphasise the importance of changes that we propose. How often do investors ask you about the negative side of your sustainability themes and investments? This is a good question. Quite often a technology solution to one issue, creates negative impacts elsewhere. For example, solar module manufacturing can, if done poorly, lead to significant quantities of hazardous wastes as well as negative impacts on workers and local communities. These sorts of issues are best addressed, we believe, through engagement. In the case of solar module manufacturing we have worked with a leading US NGO to develop a scorecard that assesses manufacturers on their approach to these and other ESG issues. Such initiatives raise the profile of specific questions and have driven significant improvements in many solar module businesses. Another example is the role of robotics and automation across many industries. There are huge benefits in deploying more intelligent robotics and automation in many industries including in minimising energy use and improving safety. However, these technologies also have an impact on employment. Not many funds report on their impact. Why do you think this is? For most mainstream funds this is a difficult agenda. Most large mainstream businesses have some level of negative impact on the environment and/or society. This is most obviously the case with most extractive and fossil fuel companies, but even consumer products businesses will have a net negative impact stemming from their operations. Each smart phone may have a relatively small impact individually, but when hundreds of millions are produced, the overall impact is substantial. Funds that focus primarily on these larger listed companies struggle to tell a good impact story and so choose not to address it. Do you think impact reporting makes you a better business? Absolutely, we are convinced about that. Our focus is on companies that increase their positive impact in lock step with their growth. In some cases this might be relatively modest improvements, for example in the energy efficiency of buildings, but it also includes more visionary companies that are creating breakthrough solutions. We believe that measuring and understanding the extent of this impact more explicitly helps us to identify high quality companies operating in structural growth markets, and therefore to make better long-term investment decisions and provide our clients with a positive investment solution.